A review of Flux was just published in the Lancet Oncology. Never thought I’d see my work mentioned in this journal! 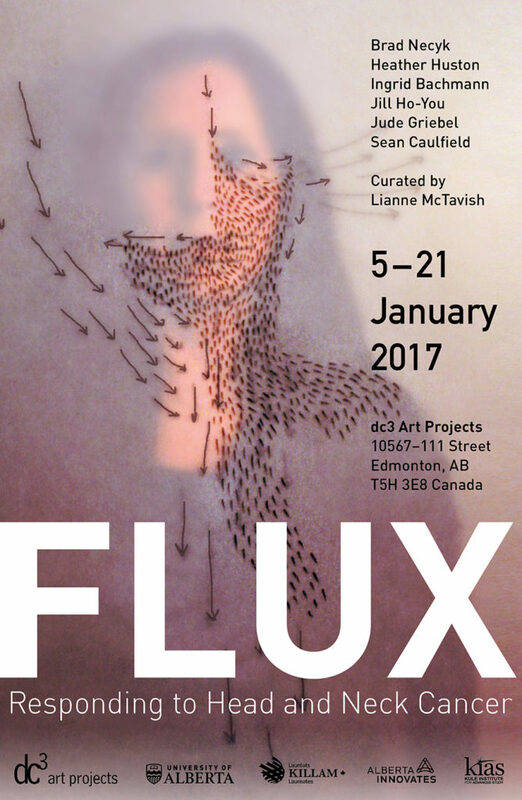 I am pleased to be part of Flux, opening January 5th at DC3 Art Projects in Edmonton. 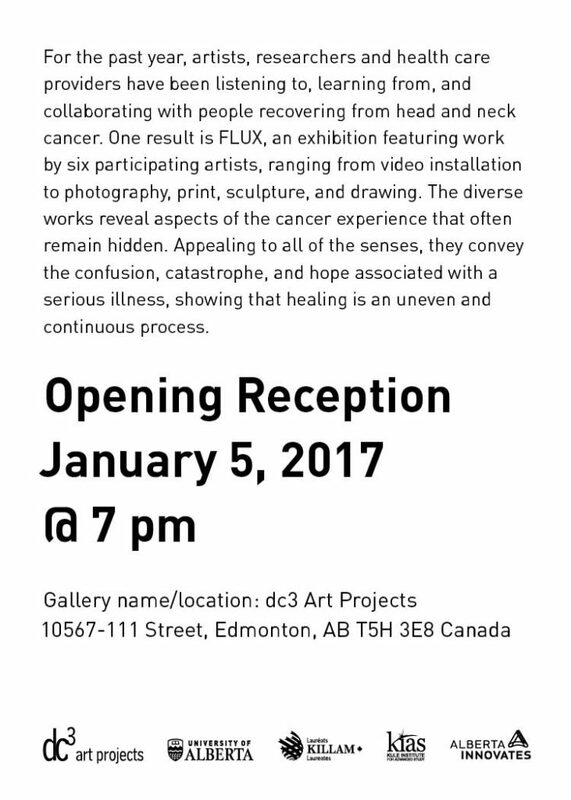 This exhibition is the result of the year-long research project See Me, Hear Me, Heal Me where researchers, medical practitioners and artists worked with patients who were recovering from head and neck cancers. Details on the posters below.